First of all, I know that not everyone is interested in blogging. But blogging is my actual job now (I’ll never ever get tired of saying that!) 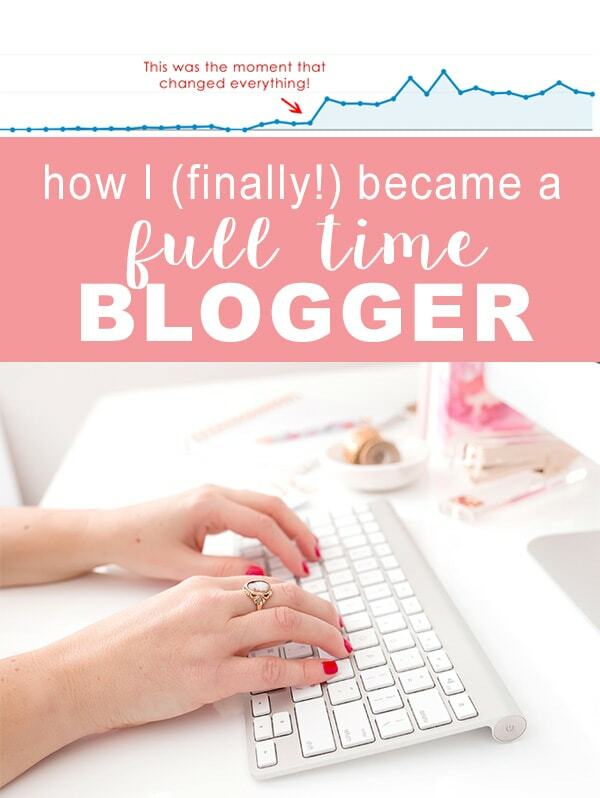 and I’ve gotten so many questions about how I made it happen, that I thought it would be appropriate to share about how to become a fulltime blogger. I recognize that this journey is different for everyone, but if you’ve ever been curious, this post is worth a read. Sometimes life can feel a little monotonous. We drive the same commute wearing one of the same 5 shirts over and over. We sit in the same cubical, make the same jokes about Mondays, sit in the same meetings and eat the same frozen meal for lunch. Our drive home is the same and when we get home we change into our favorite sweats, sit on the same couch and eat the same takeout while we watch Netflix. Then we go to bed and do it all over again. And if you’re anything like me—it feels like your soul is dying. I stuck it out in the corporate world for 10 years, because that’s what I was “supposed” to do. Meanwhile, I had a secret dream. I dreamed of a life where I could work really hard doing something I loved for 3 days a week, then take off 4 and go on a road trip. I dreamed of doing work I truly loved and felt passionate about. I dreamed of living a life made of adventure and breaking out of my decade-long rut. So I started a blog, back in 2012. My intention with it was always to turn it into a full-time gig. And I LOVED it. I got to use my creative muscles and my writing abilities and take pictures. But where I had plenty of creative ability, I had very little business savvy. So I treaded water with my blog for three years on nights and weekends while working my corporate job. And finally, I decided I was sick of it. I was tired of spend 30 hours a week blogging and getting nothing in return. I was ready to throw the towel in and resign myself to cubical life. Then I saw a blogger I really respect post about Elite Blog Academy. I was a little skeptical, but I decided to go for it. If the class worked and I saw good progress with my blog, I’d keep blogging. Otherwise I was ready to quit blogging forever. As you can probably guess, the class changed my life. Within 6 months, my page views tripled, and I started making a very decent living off of it. A year later? 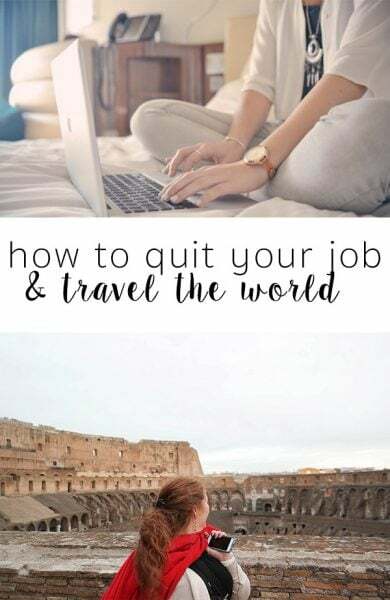 In December of 2016, I was able to quit my corporate job and take on my dream job of a fulltime blogger! To celebrate, my husband and I spent a month in Europe (I literally took 13,000 photos and am still culling through them—post coming very soon!). I wake up every single day, excited to work. I wear what I want, travel when I want and spend time with people I love on my own schedule. Don’t get me wrong—it’s a lot of work. But Elite Blog Academy gave me a very clear, very easy to follow roadmap. 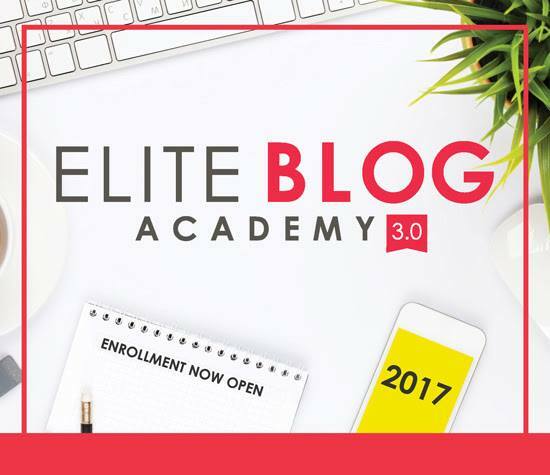 Elite Blog Academy opens the doors for enrollment one time a year. If you miss it, you’re stuck waiting another 365 days to get in. Well, today’s the BIG DAY! Elite Blog Academy is open! The class is awesome and I promise you it’s worth every single penny. But (imagine this in my best Oprah voice) that’s not all! You get a bonus, and you get a bonus!! If you purchase today or tomorrow, you get access to the EBA Product Launch Playbook. As an EBA VIP, I was given access to this amazing document early…and it seriously blew my mind. This playbook gives you everything you need to successfully launch a product! This might be the one I’m most excited about! For the first time ever, Elite Blog Academy is having an in-person live event! And, if you purchase Elite Blog Academy, you’ll get a ticket! In fact, this is the ONLY way to get a ticket. Sometimes, you just need a person to bounce ideas off of. Well, I’m your person! By purchasing Elite Blog Academy, you’ll get 4 quarterly one-on-one trainings with me. You can ask whatever you want to ask, and we’ll dive deep into what’s working in your business and what isn’t. From my personal experience, it helps SO much to get personalized assistance—I’m really excited about his one! To sum it all up, if you’re feeling stuck like I was—take the leap and try this class. There’s even a money-back guarantee, so you literally have nothing to lose! 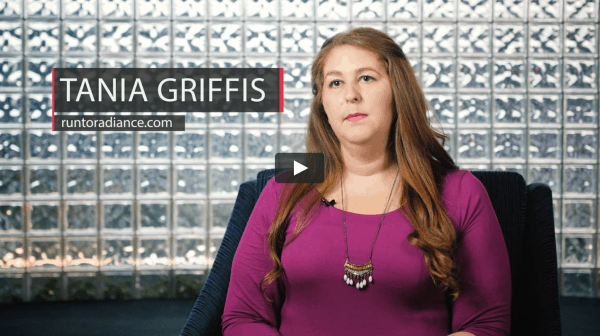 PPS – Not sure if you’re ready for EBA? Check out this free webinar that’s absolutely packed with information and freebies! It’s only available for the first 500 people to register…hurry! Previous Post: « So It Begins – Our Kitchen Remodel! Found you over at Wind Down Wednesday. I just enrolled in EBA and have finished Mod 1 I love it. Thanks for sharing. Thank you, Tania! you sound so inspiring! I am working corporate job, too and feel so burned out. This is not what I expected, that is why my husband and I started a blog. I also follow Elite Blog Academy blog, and saw that enrollment was opened, but something held me.. I think we should take this step forward. This is so inspirational. I hope to be able to become full time soon.